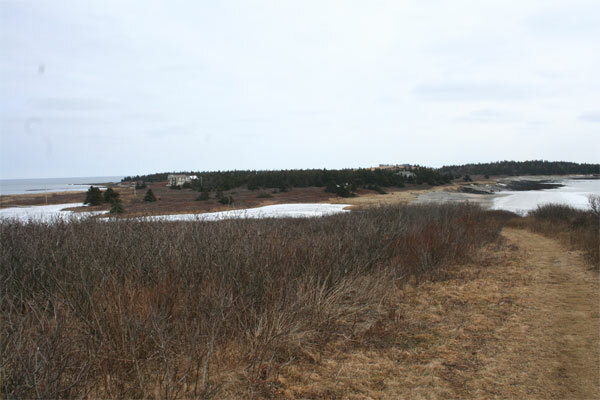 Today we walked from Port Medway to Long Cove. It was good to feel the warmth of the sun after a cold, wet week. 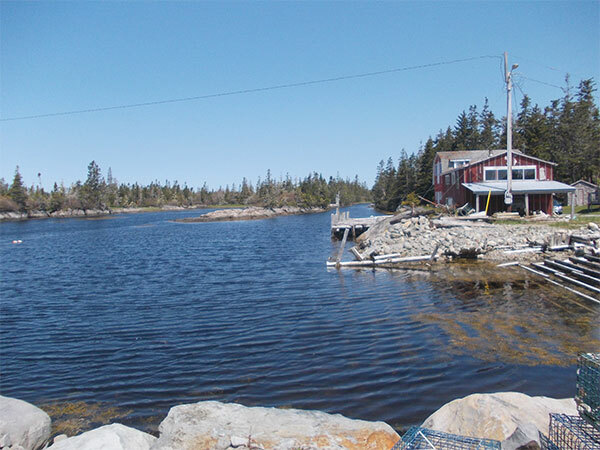 There is a little harbour at the end of the dirt road and Long Cove cutting inland. 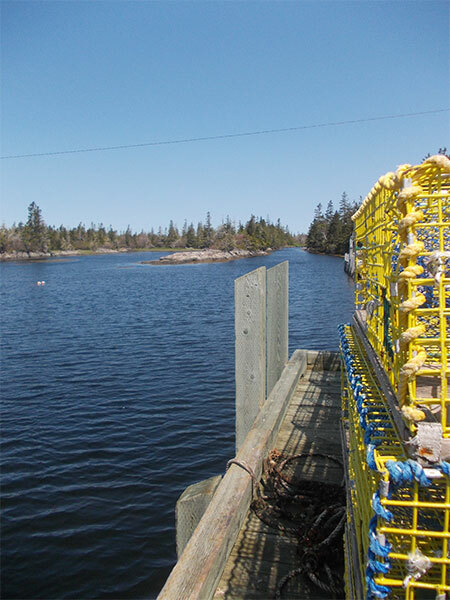 Wire lobster traps were stacked up on the dock. As well as the older styled wooden pots. 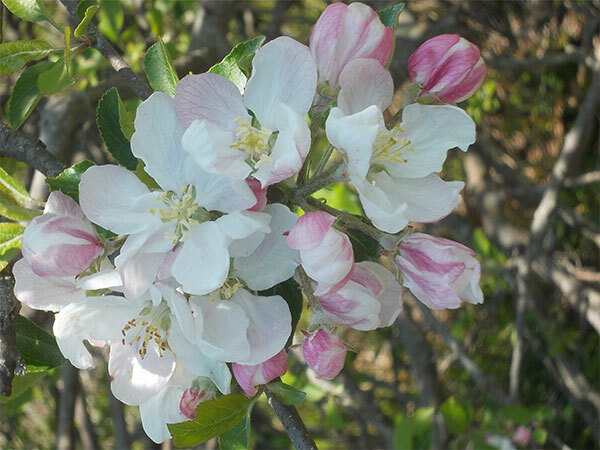 Apple and cherry blossom, plus wild azalea and bunch berry flowers, helped to add colour to our hike. 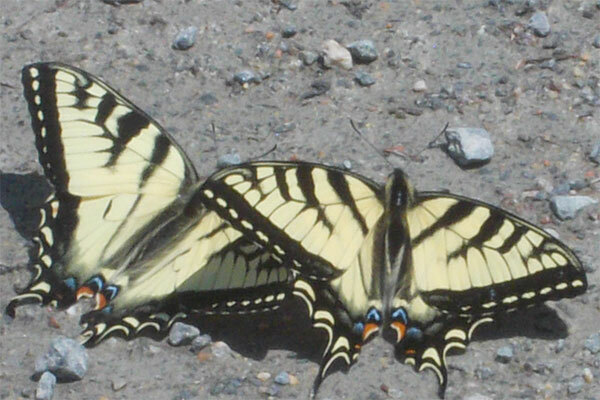 These tiger swallowtail butterflies enjoyed the heat of the track. 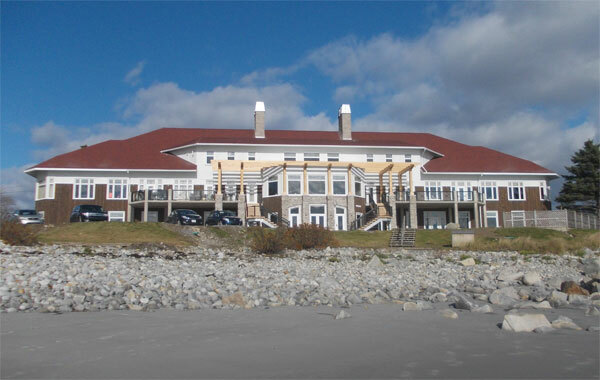 When I visited White Point Resort in November last year, it was a music week-end, so I couldn’t really get any photos inside. Today we went back for a walk there and I had a look inside. 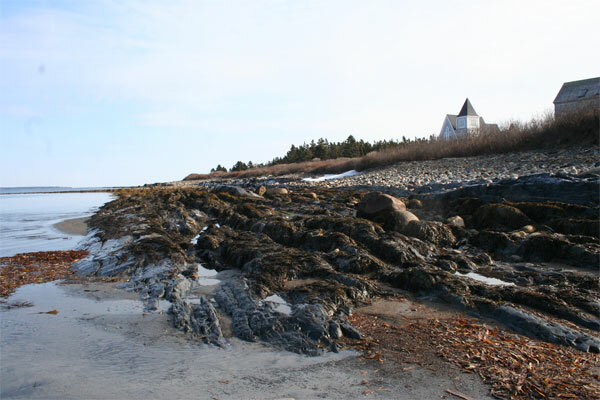 The fireplace is faced with White Point beach stone. 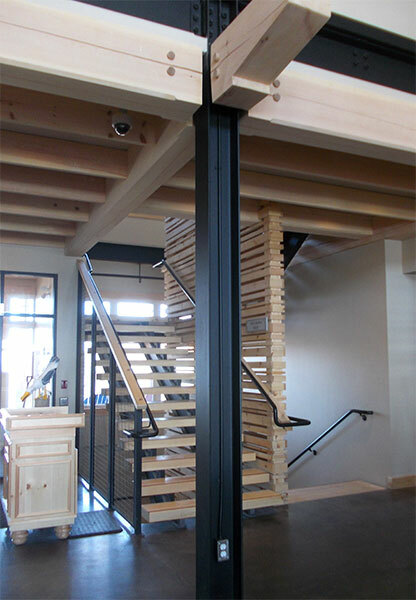 The building is a steel frame, but wooden posts and beams add detail. 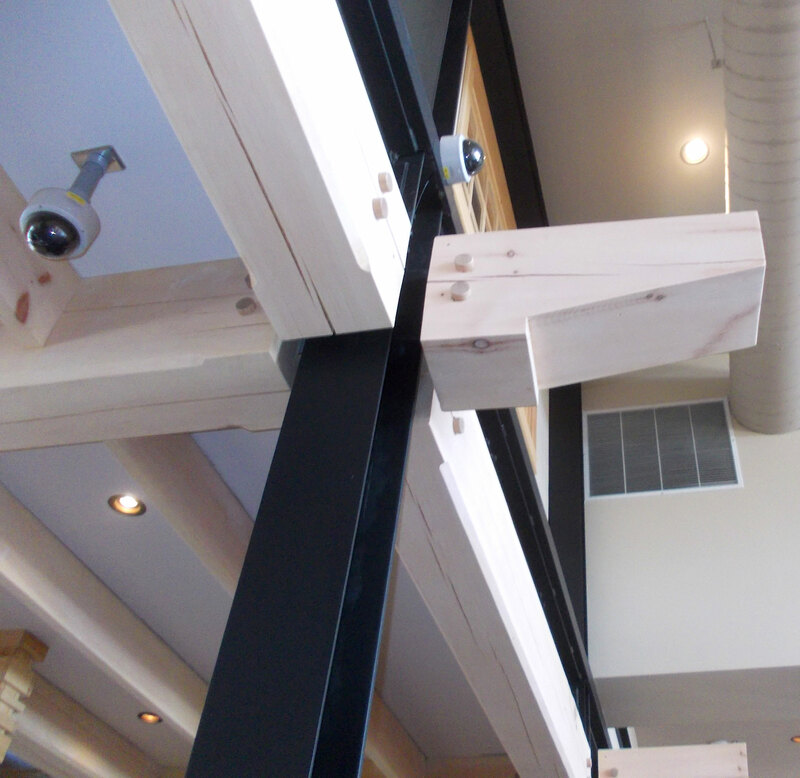 You can see how the wood just abuts the steel and the wooden pegs are decorative rather than structural. 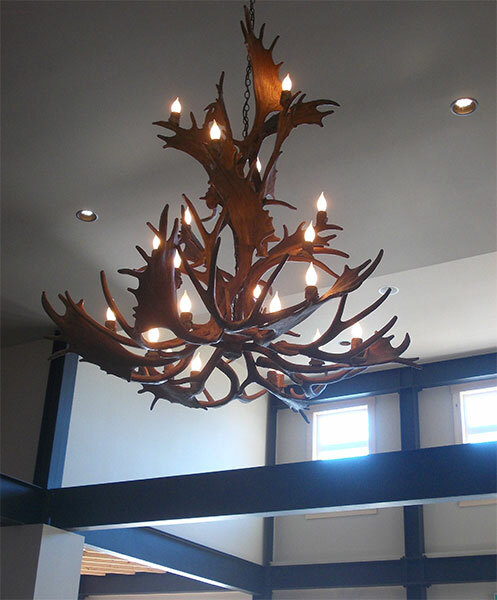 These moose antlers make an interesting chandelier in the dining room. 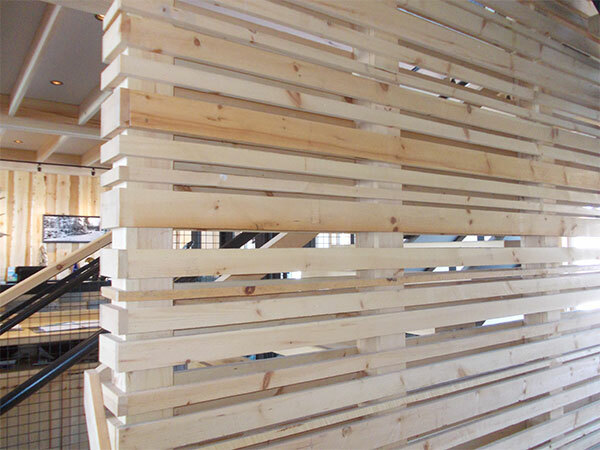 I liked the use of these strips of pine to make internal dividing walls. 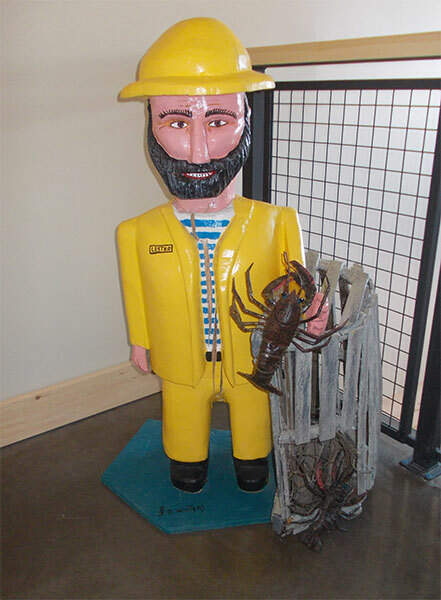 There are some pieces of folk art, like this lobsterman, by Joe Winters. His ‘little people’ were destroyed when the old lodge burned down. 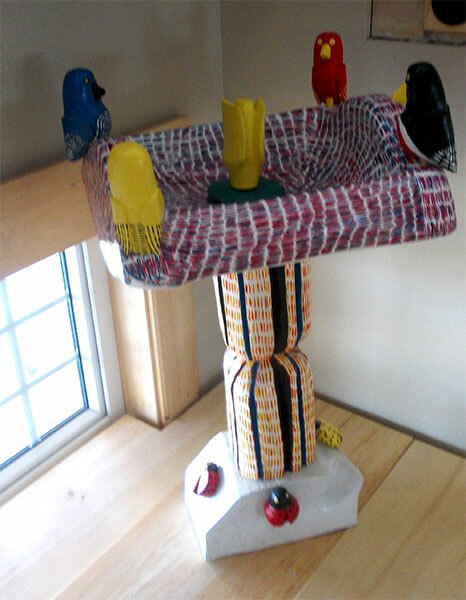 Do you like this bird bath? 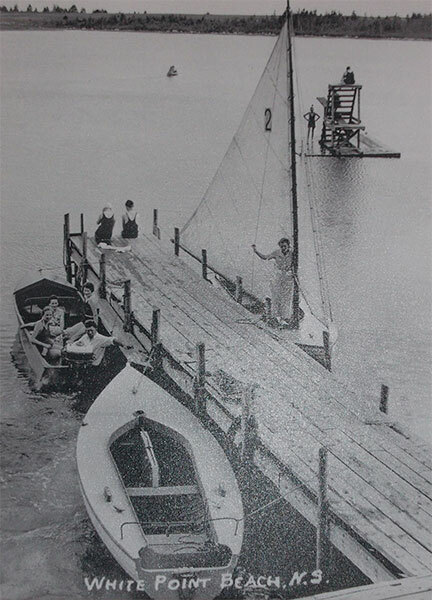 In the crow’s nest are some wonderful old photos of the resort in the 50’s. 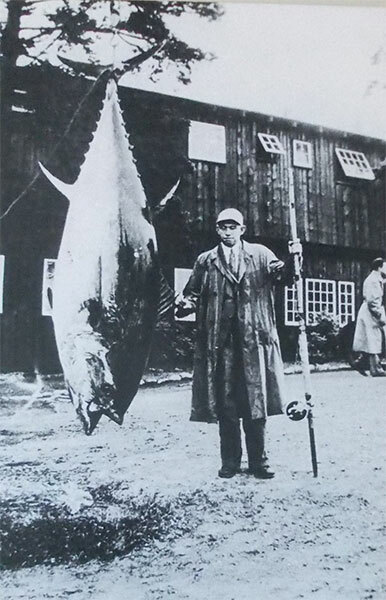 I wish these tuna were still around our shore. I think this little pier and swimming platform must be in one of the lakes and not the sea. 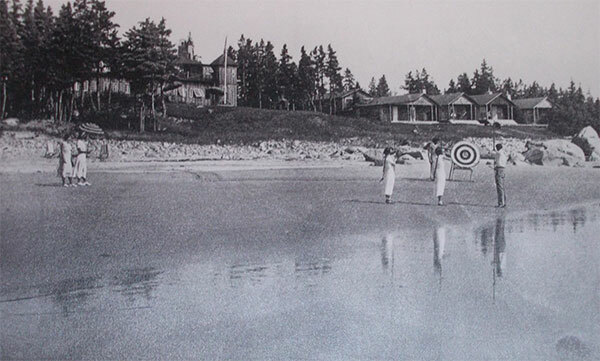 Women in dresses for their archery lesson on the beach! 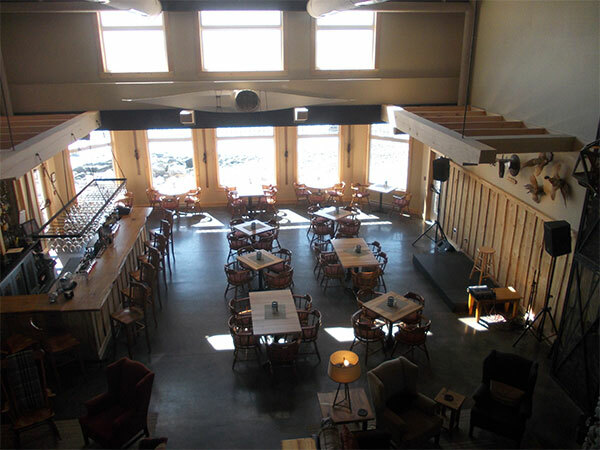 You can look down into the bar and lounge from above. The sea is right outside those windows. There was a great smell of food, but it was too early for lunch and we had brought a picnic with us. On our next visit, we’ll sample the food. Spring is here at last – well maybe! 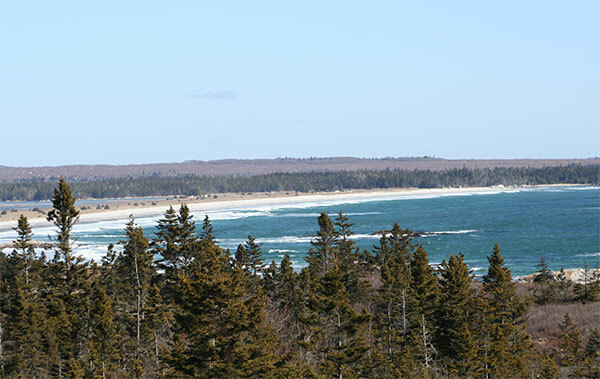 This Easter week-end has marked the beginning of some warmer weather here in Nova Scotia. 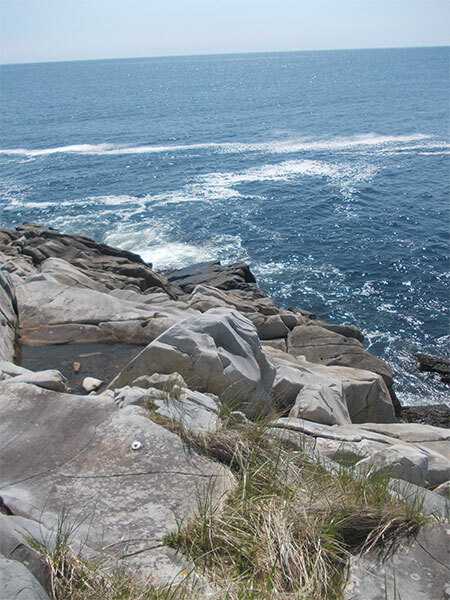 Yesterday we went to Kejimkujik Seaside, which is a National Park. You can see our walk on Googlemaps. 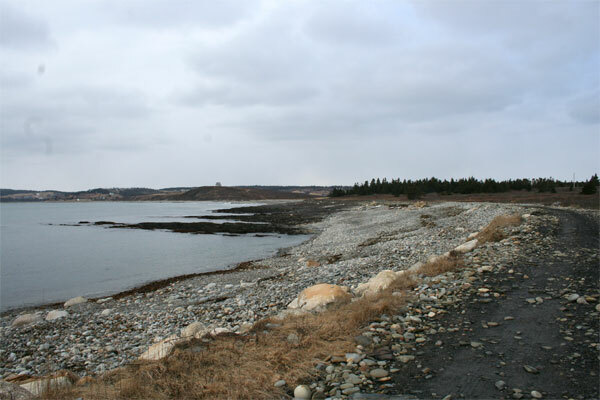 We started out by walking the rocky shore along Boyd’s Cove and MacLeod’s Cove. 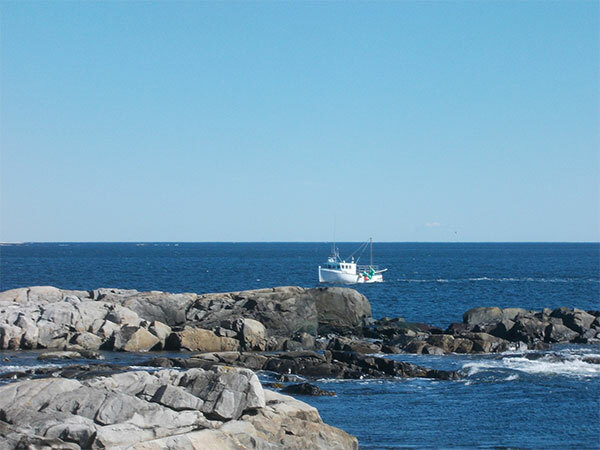 The sea was very blue – I did not touch up this photo. Parts of the coastal track had been washed away the last time we walked here. 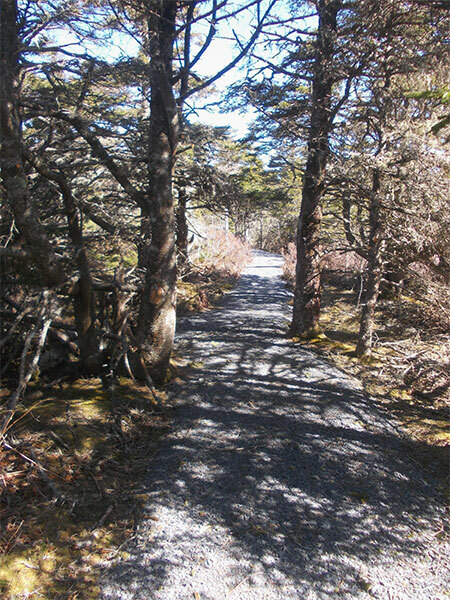 Another path has been cut, a bit further from the shore, through the trees. 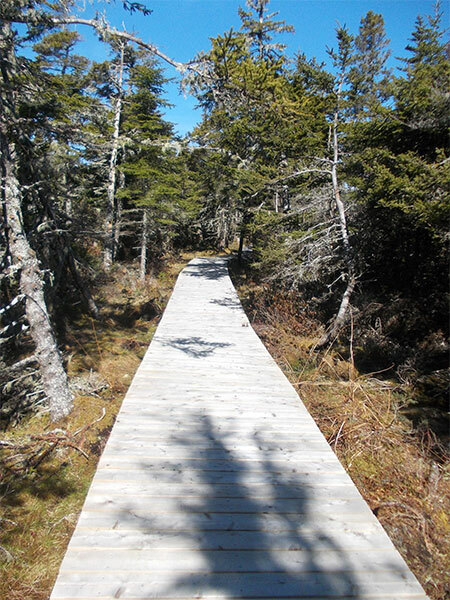 And the boardwalk has been repaired in places or totally renewed, like this section. Unlike Europe, the ‘history’ here is not very old. 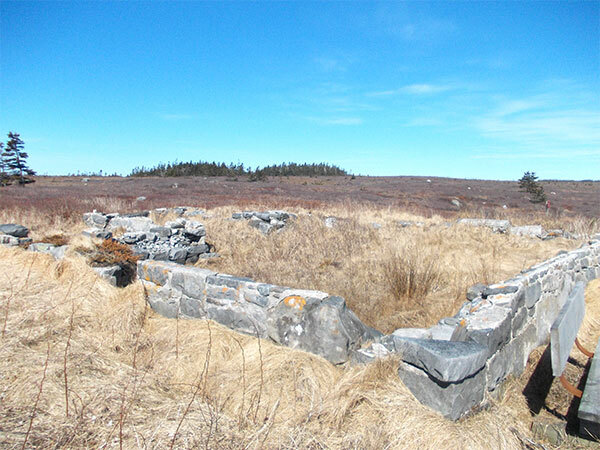 This is the ruin of the house of Hugh Cameron, a shepherd on St Catherine’s River Farm in the early 1900’s. 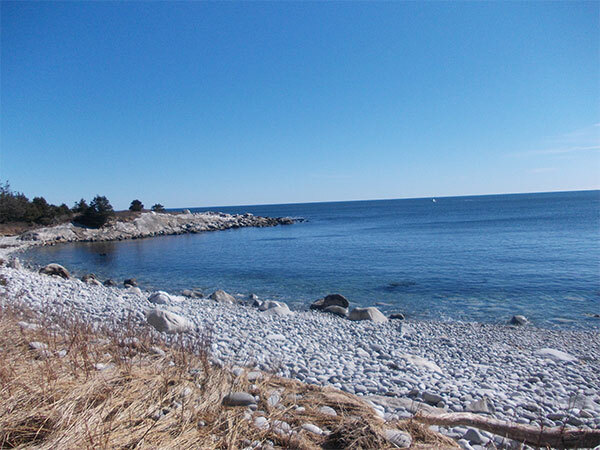 But sheep farming here was a harsh existence and the land was eventually given to the Federal Government and became the Seaside Adjunct of the Kejimkujik National Park. 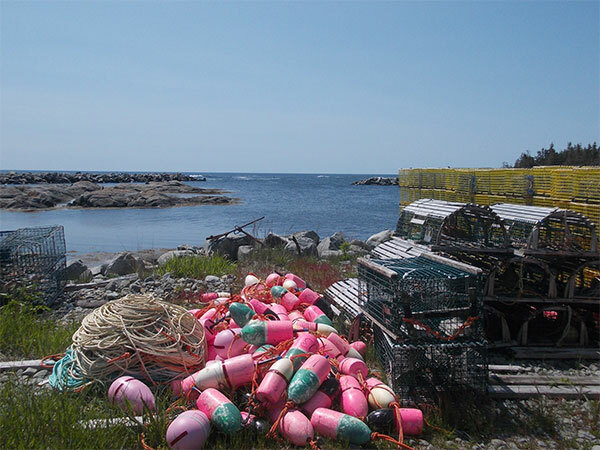 Yesterday, the bay was full of lobster boats, the better weather a pleasant change for these fishermen, who are only allowed to fish here on this part of the shore during the winter months! It has been a tough time for them – probably harder than sheep farming! In my last post about this park, I added this photo of a wrecked boat that we spotted sitting high and dry on Little Hope Island. 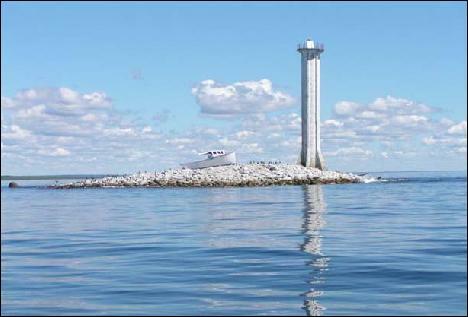 There used to be a concrete lighthouse on the island until just after Hurricane Juan in 2003, when it collapsed. 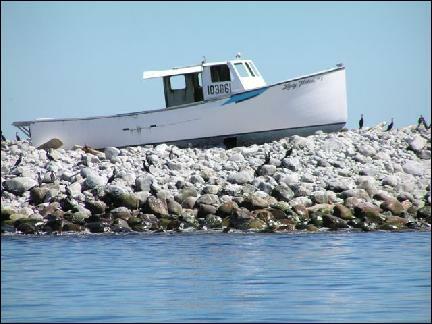 This amazing photo was taken by Jeff Tutty of Hunts Point, Nova Scotia in August 2003 and the wrecked boat was already there! Seemingly, the crew of the Lady Helen fell asleep!! 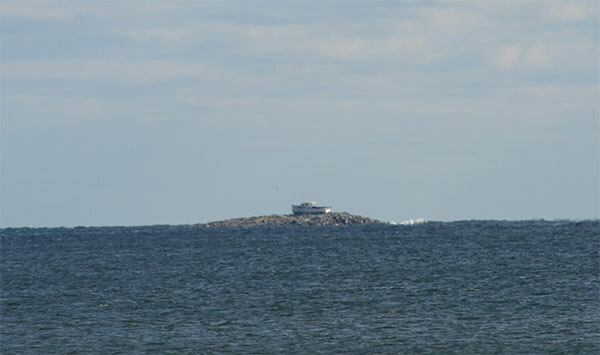 I didn’t have my tele-photo lens with me yesterday, but the boat has gone and the rocky island is hardly visible above the water. and walked as far as is possible. 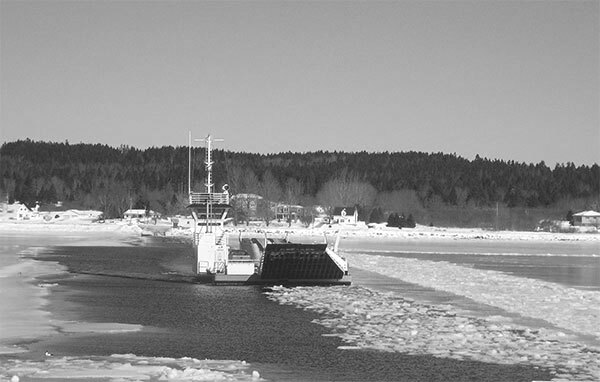 Then it was back to the car – a total of 14 km. 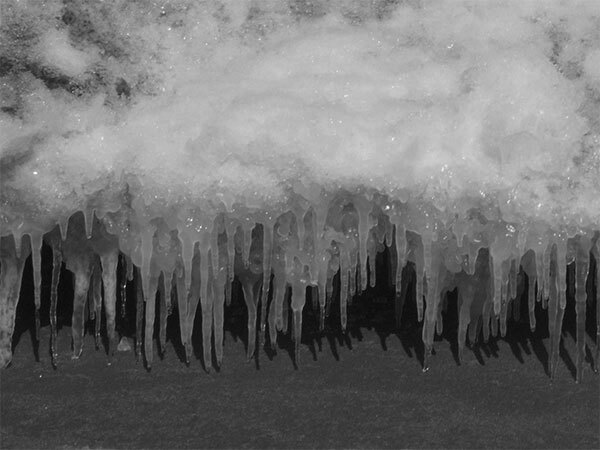 The forecast for this week is back to freezing most days, so maybe Spring isn’t here yet. 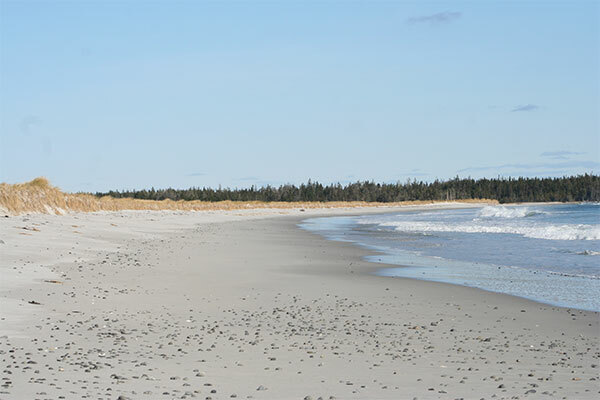 If you’d like to see Kejimkujik in the summer, with the birds and flowers, you can look at the blogs I wrote in 2009. 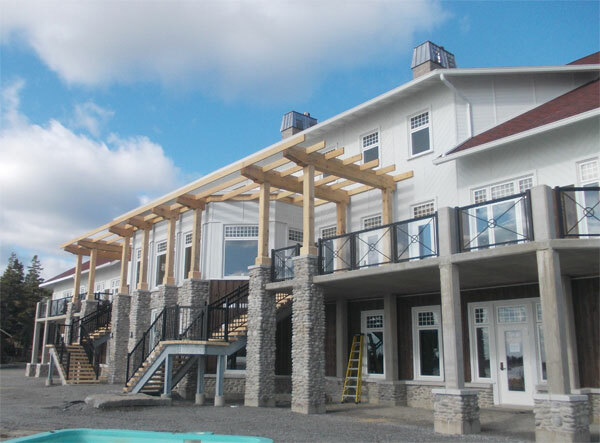 White Point Resort, Rises from the Ashes. 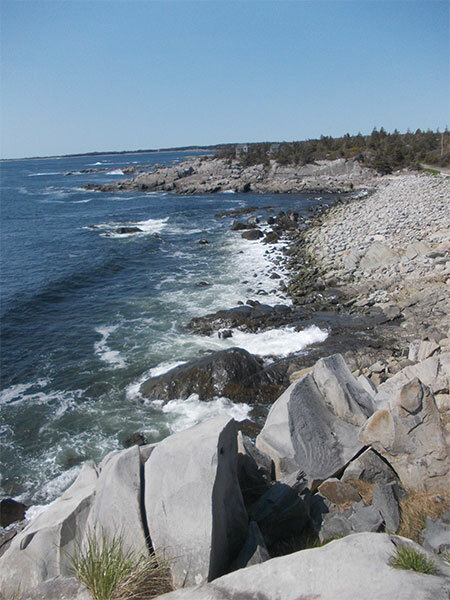 Last week-end we decided to head to White Point. 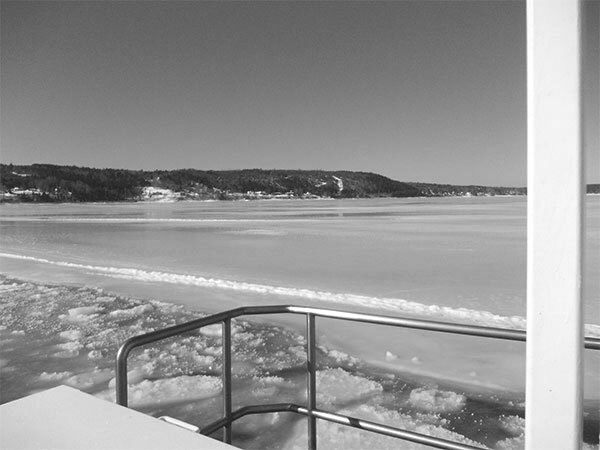 We hadn’t been there since May of this year, when I wrote this Blog about the rebuilding of the main lodge. 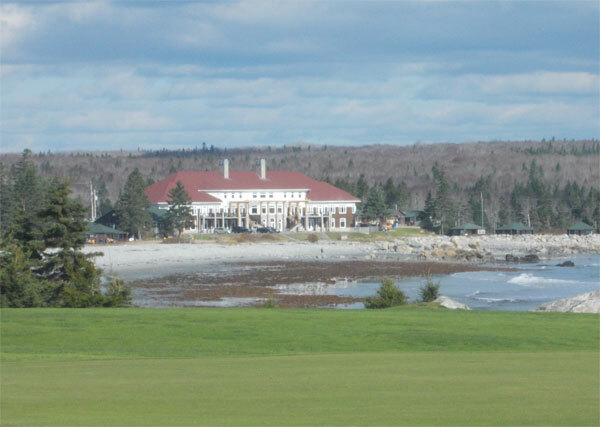 The plan was to see if the new hotel was now complete and walk along the beach and golf course. There seemed to be a lot of activity on the drive-way in and then we saw this sign. 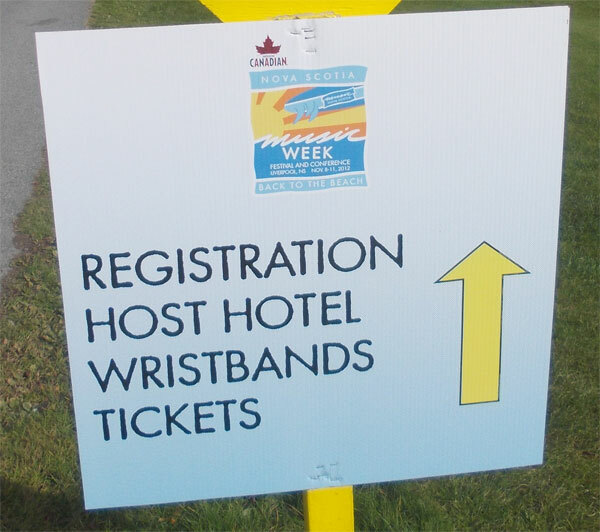 We still weren’t any the wiser as to why we needed wristbands, so we parked the car and walked to the new building. 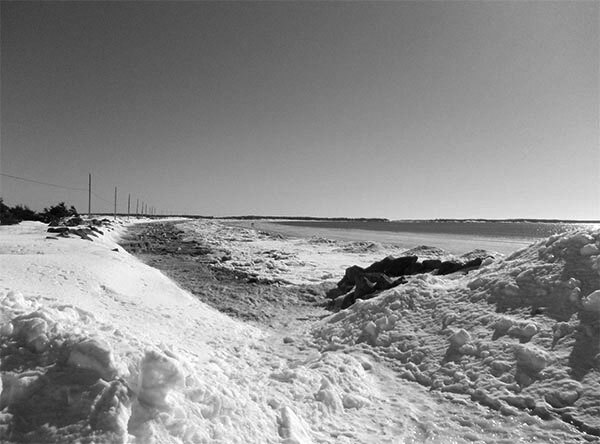 Once we realised it was Nova Scotia Music Week, with events being held at various locations in Liverpool and here at White Point, we knew this was not the day to see the inside of the lodge. So we walked around the building to the beach. 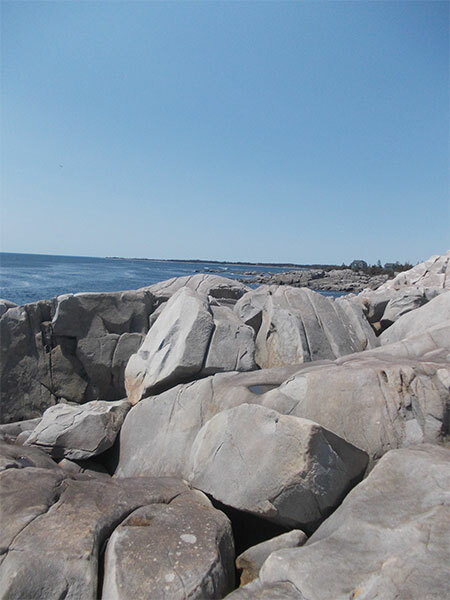 White Point beachstone was used for the foundation and pillars. I like the rough pine siding, but am not so sure about the white siding on the top half and the white widow frames. 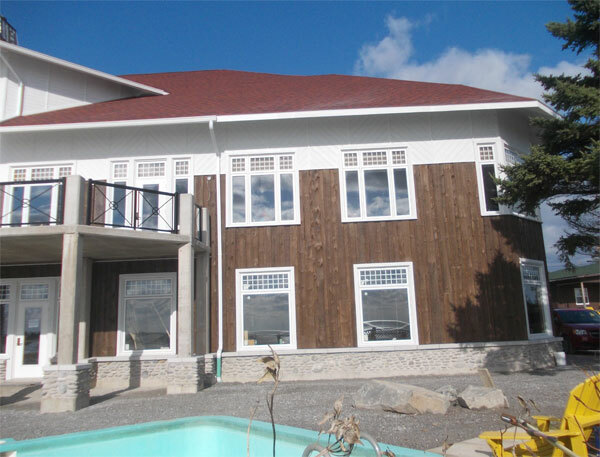 Perhaps the design is too tradional for me, a lover of more modern designs, but then that is what everyone was calling out for after the fire – something that still looked like the old White Point. The setting is still amazing and the views from inside must be fantastic. 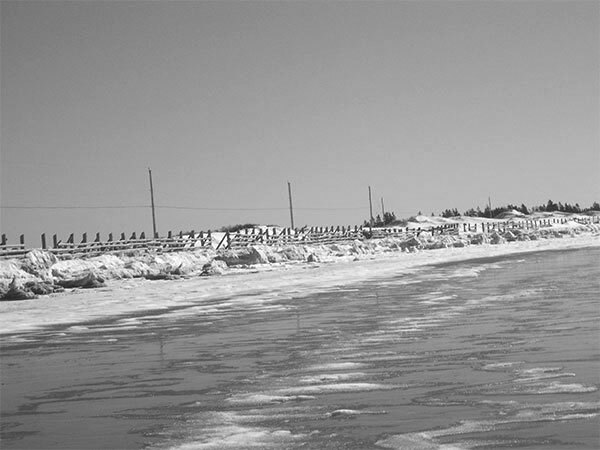 We walked along to the golf course and looked back to where the shuttering had been in May. 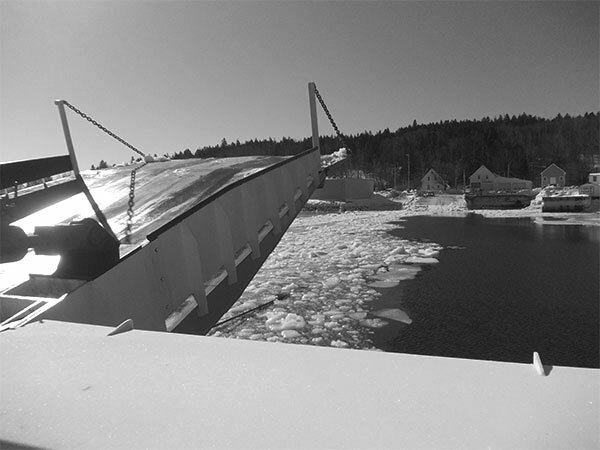 Next time we visit White Point I will get some photos of the inside. 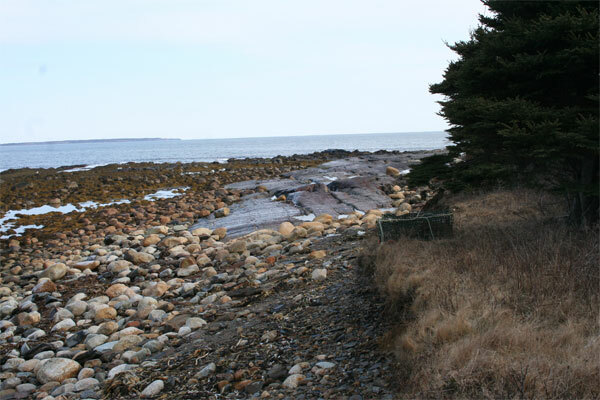 On a recent coastal walk here on the South Shore of Nova Scotia, we came across this interesting rock. 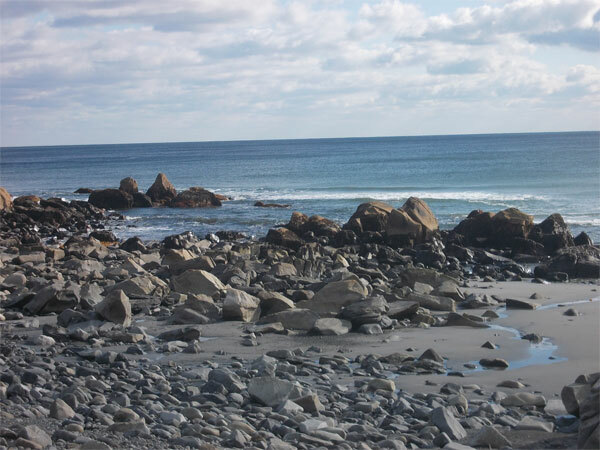 It lies among other boulders and looks as if it has been here for a very long time. 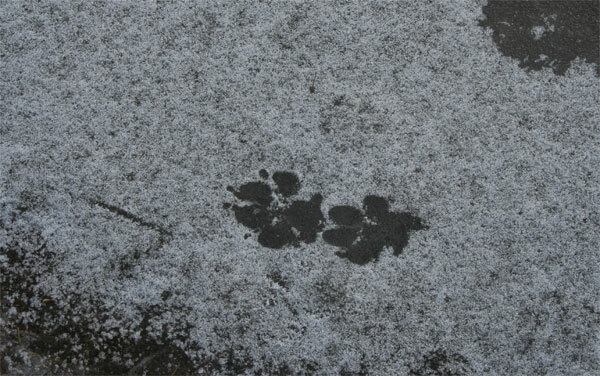 But has it, is it an ancient petroglyph or is it a modern carving, done by someone having a bit of fun? 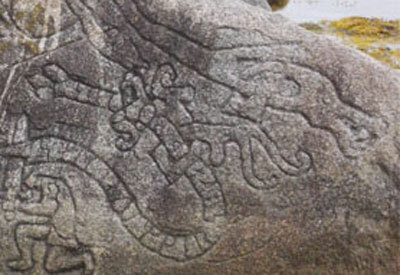 The carved scene is complicated and looks like St George and the Dragon, or some sea serpent, with a knight and horse. 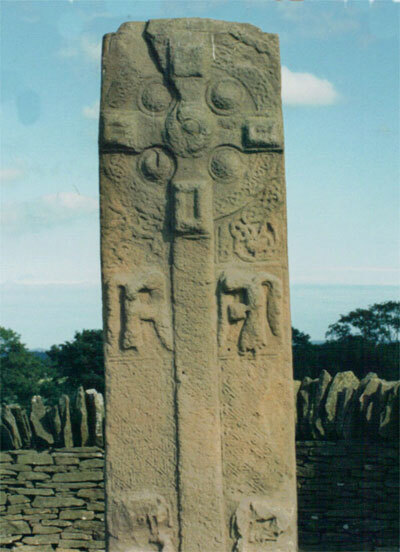 It reminded me of photos I have of the Pictish Stones at Aberlemno, in Angus, Scotland. This stone is carved on both sides. One face is decorated with an elaborate cross flanked by angels while the other shows a hunting scene. 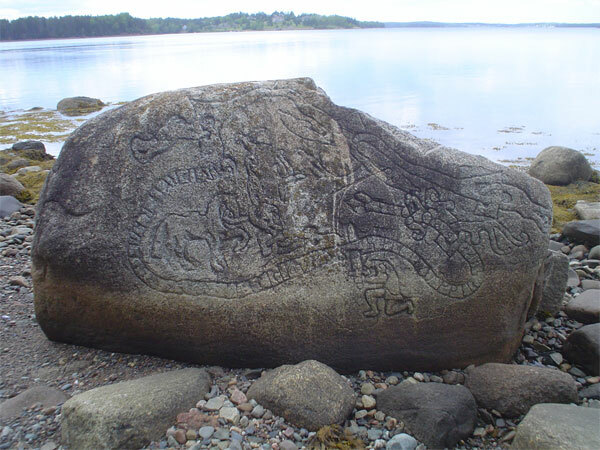 This stone has several Pictish symbols; a serpent, a double disc and z-rod and a mirror and comb. 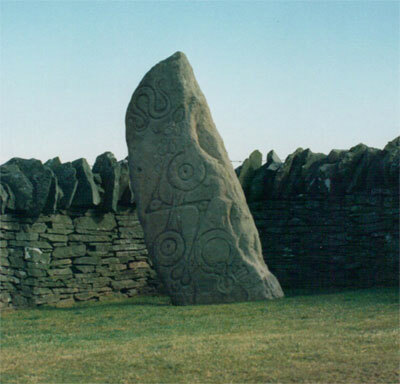 These Pictish stones date from the 6th to the 9th Century – so they’re very old! 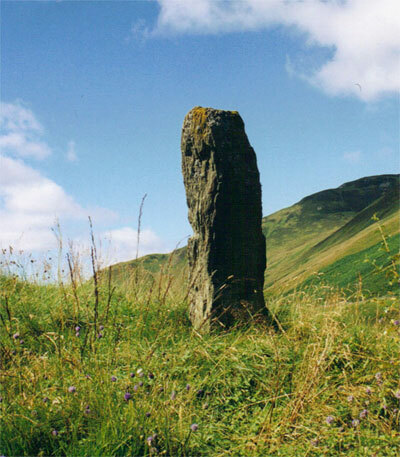 This standing stone below, was in Glenshee near our pottery. It was known as ‘The Parliament Stane’, and was believed to be the place where Scottish Kings held parliament when they were on hunting trips in the Royal Forests in the area. There were no carvings or markings on the stone. 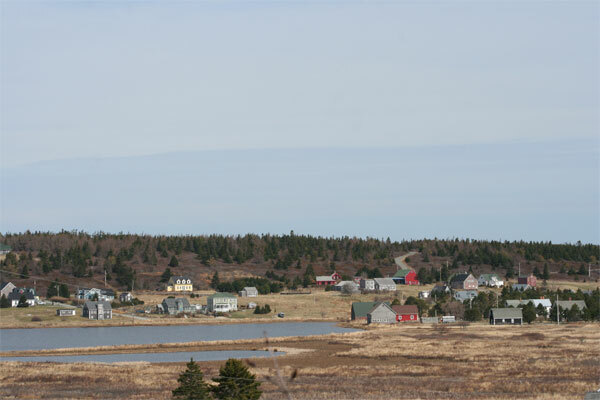 But back to the mystery in Nova Scotia. 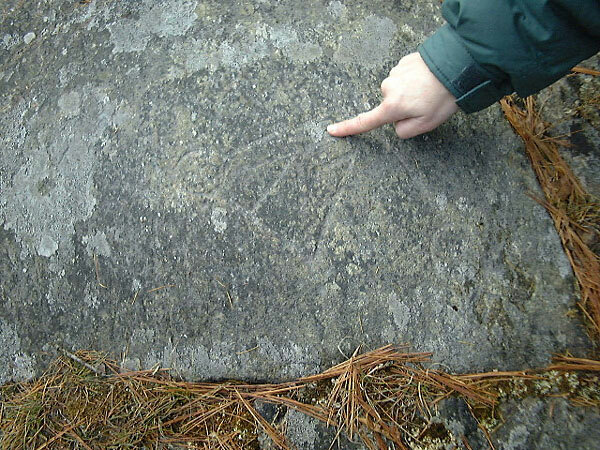 I found this site with these photos of petroglyphs at Bedford. These are much shallower markings than the ones on my stone. So, who carved this horse on the stone? And this knight who has just killed the dragon? And the creature with two heads? 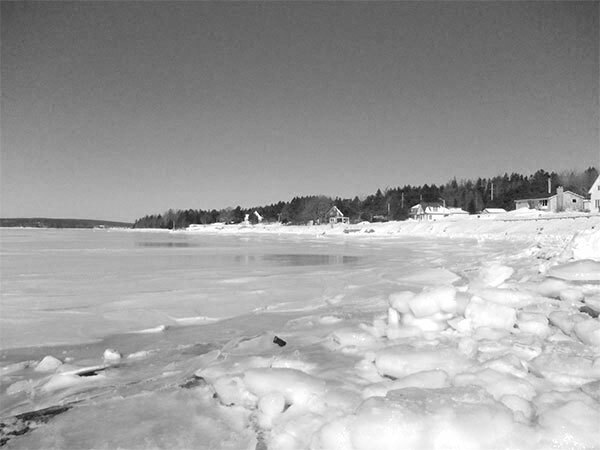 The Mi’kmaq recorded images of people, animals, hunting and fishing. With the arrival of the Europeans, they began to include images of sailing ships, men hunting with muskets, soldiers, Christian altars and churches, and small items like coins and jack-knives. Can anyone solve this mystery for me? Is this a modern day carving or is it an ancient stone, with a meaning? This post has attracted a lot of interest and comment. 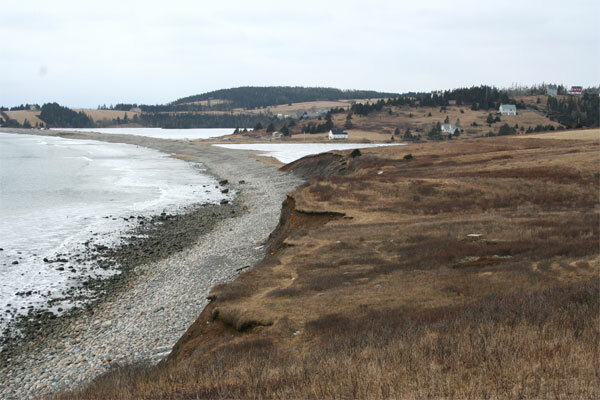 In 2013, the Curator of Archaeology at the Nova Scotia Museum said it had been carved with a metal tool, so was probably done by a local artist. 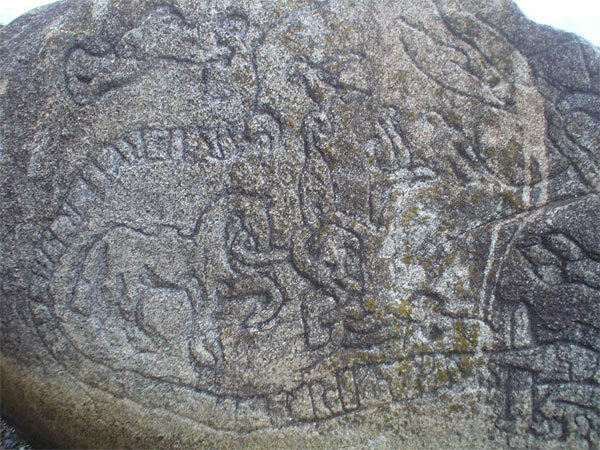 Then the Director of Studies in History at Yale University said it was a clumsy copy of the Ramsund Carving. It is really very much a copy of this! I continued to try to find out who had done the carving. Someone thought a local stone mason had carved it, but the name I was given said he had carved stones, but not this one. Some theories that were voiced in the comments were that it was to do with the Knights Templar and Oak Island, a Memorial stone, the Halifax Chiseller, Rosslyn Chapel …………..
My photos have been copied and posted by someone, stating that this stone was covered in seaweed and seagull droppings, before it was cleaned up – with no photos to support such a claim! 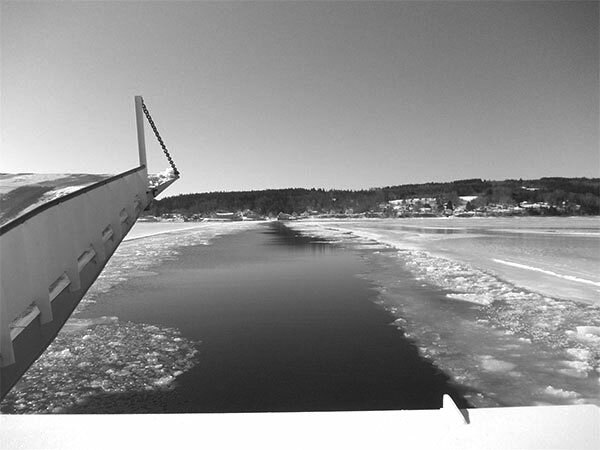 I have tried several times to have a photo printed in the local newspaper, hoping that someone would solve this problem, but that never happened. Last summer, I had a friend who is a dowser, look at the stone. He was very excited by it and gave me this report. 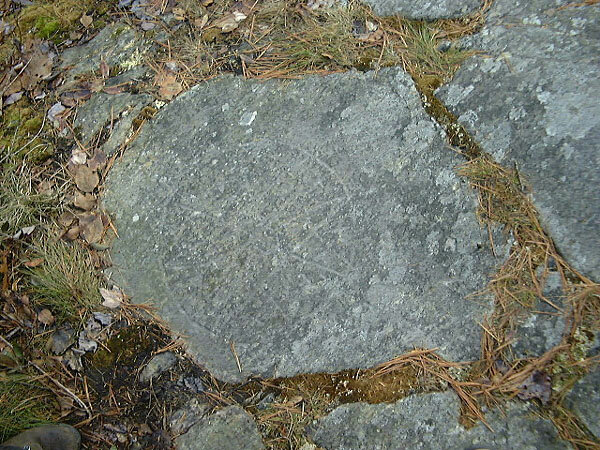 The runestone is genuine and was created in 1167 during the month of October. 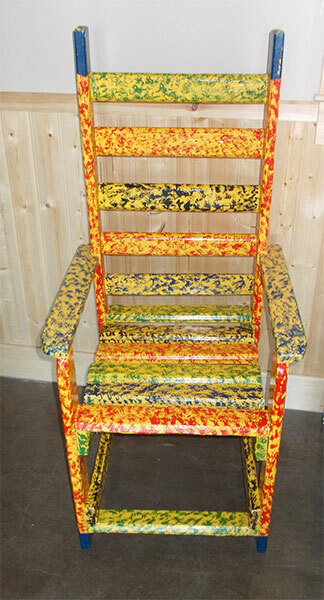 Three men were committed to creating this wonderful original which took them 7 days to complete. The process used in creating this masterpiece is still a puzzle except that heat was used before the caring as carried out. no chisels were used. 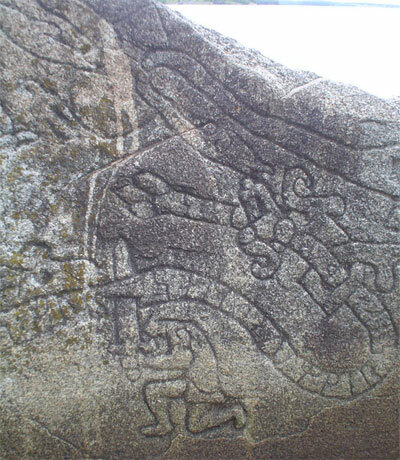 At the period of carving the stone was further inland. 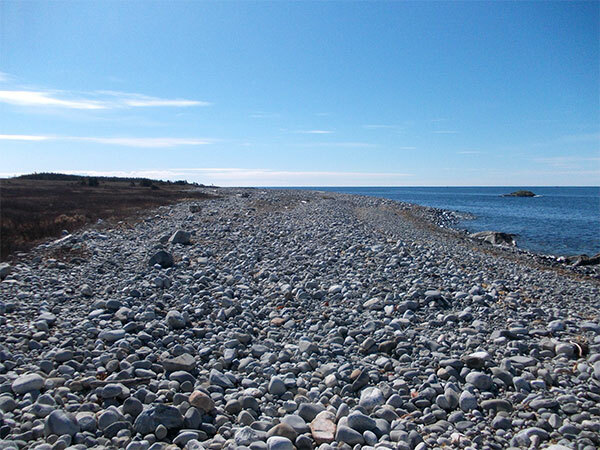 However, due to environmental changes, erosion of the coast, the stone was finally situated on the beach. 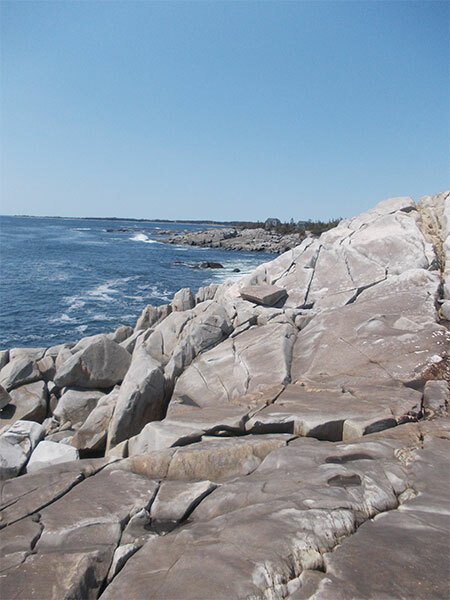 Much of the erosion was caused by ice pushing up against the cliffs in winter periods during the small ice age which finally ended in the late 1800s. 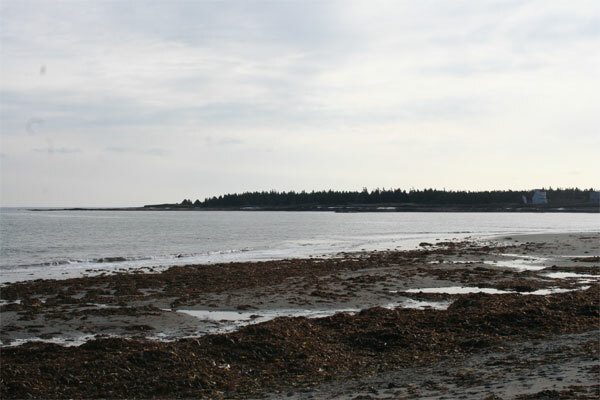 The stone is currently buried to a depth beneath the beach of nearly 3 metres. 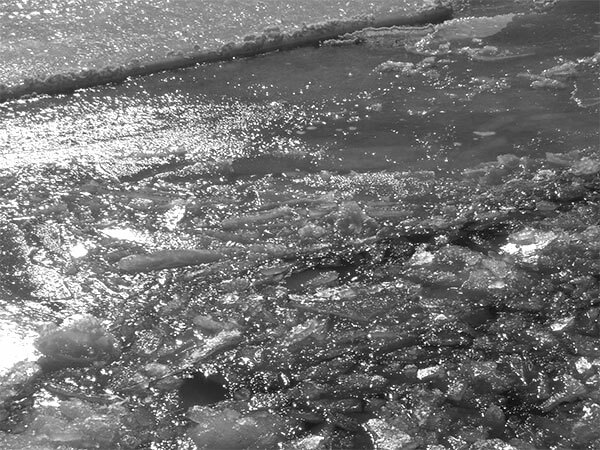 In other words there is more stone beneath the beach than above it. There are 6 ley lines ( earth energy lines) crossing the centre of the stone. All are positive- some male others female. I put my post onto the Local Lunenburg Community Facebook Page and was told that this carving was done in the 1980,s by the nephew of 2 artists who came to the nearby beach cottage for the summer. 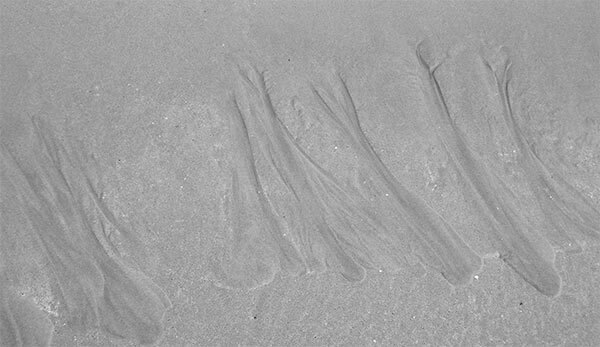 Now this is the one story that makes sense to me – no mystery or magic – just someone having fun and leaving their mark on the beach, and causing a good bit of discussion. I think the mystery of the stone has been solved! 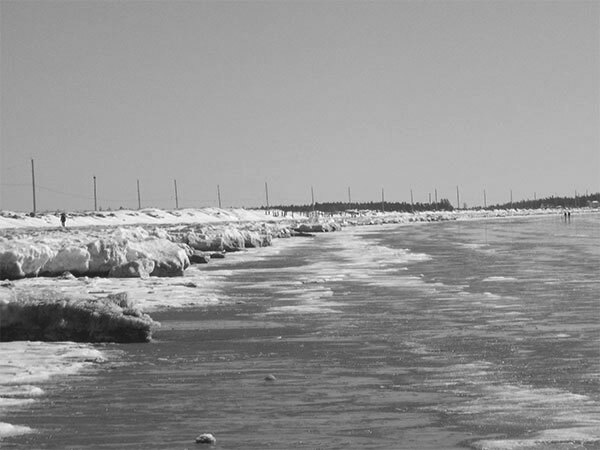 The walk around Hell’s Point at Kingsburg is one we often take. 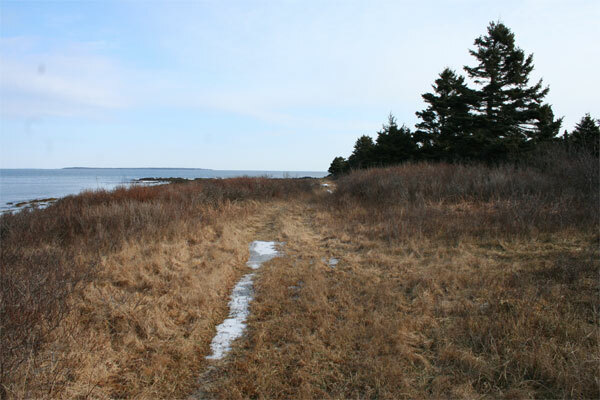 It is only an 8 Km walk and is just a short drive from our house, making it convenient for any time of the year. 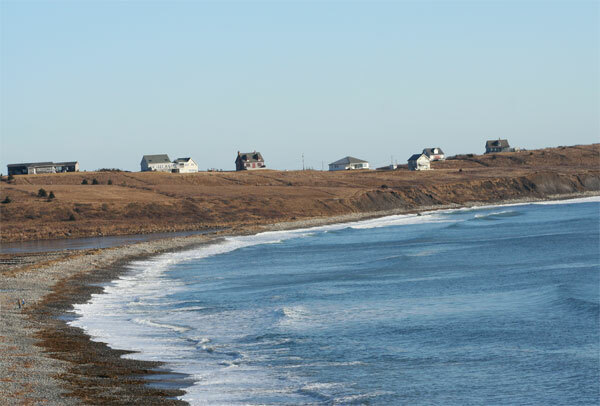 We usually start at Hirtle’s Beach Car Park and walk through the village of Kingsburg to Kingsburg Road. 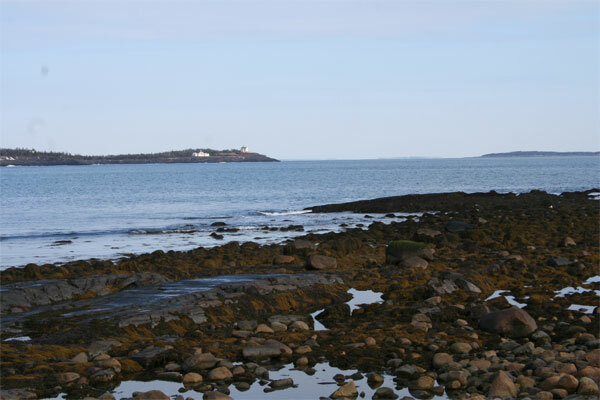 From there we head onto the seashore and make our way around the first bay. We pass this house with the square tower, which was originally a church and was moved 400 Km to this location. 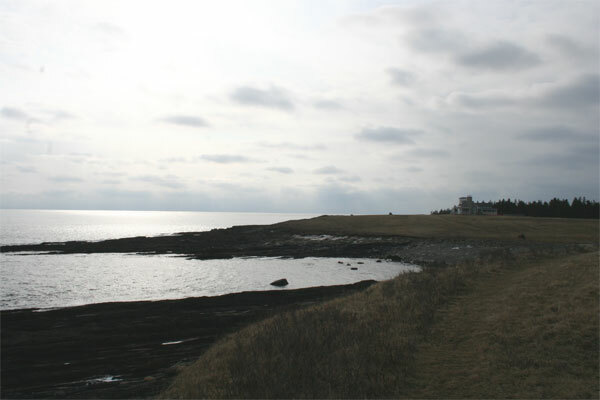 A grassy path leads around the coast. S0metimes you walk on grass, sometimes rocks. You can look back across to Rose Head. Sorry, this photo was taken on a dull day. 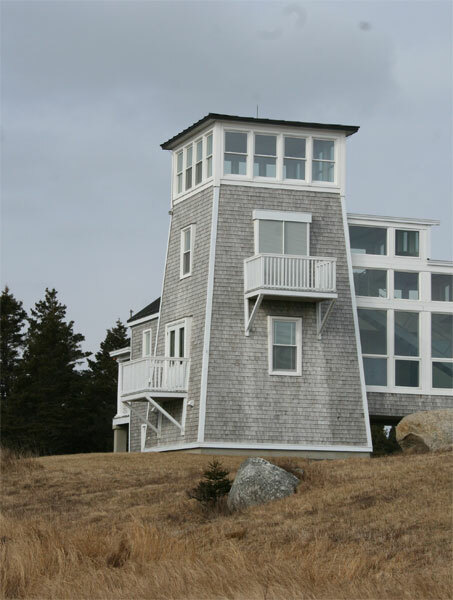 You continue along the oceanfront towards another house with a square tower. 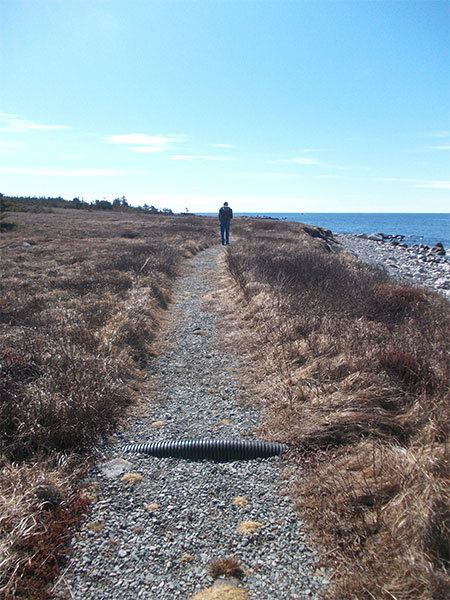 The public track goes along the edge of the property. 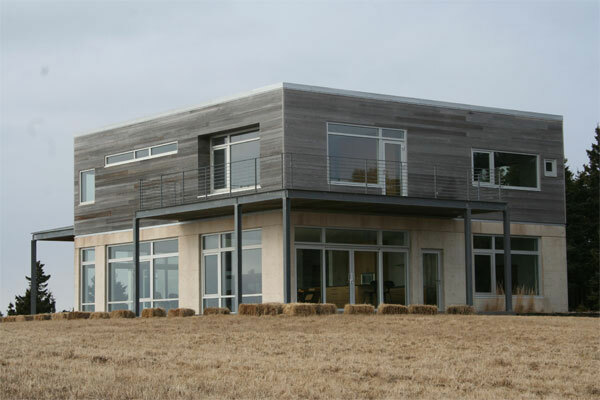 Then past this modern property, which I really like. 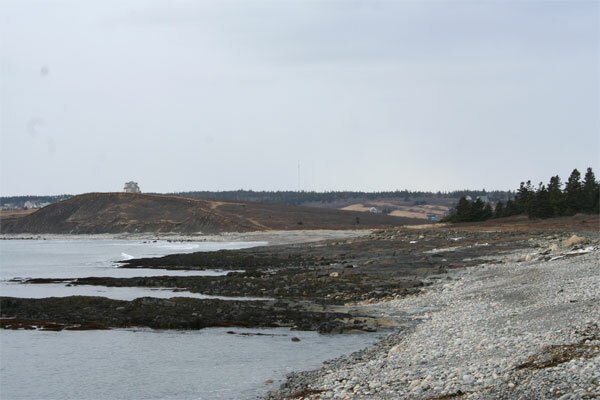 You are now on the opposite side of the peninsula from King’s Bay and heading back towards Hirtle’s Beach. You can see a house in the distance on Beach Hill Road. This house slightly concerns me. 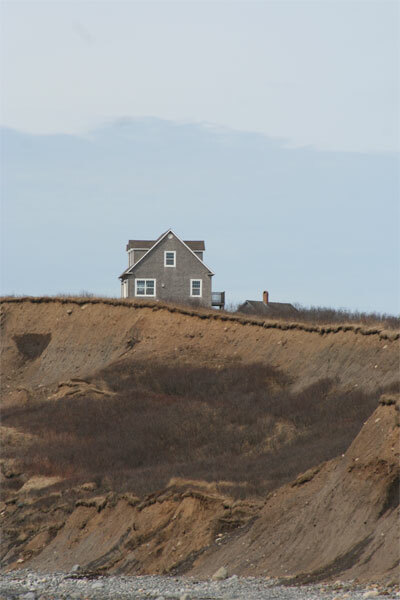 The cliff face in front is falling away with every big storm. 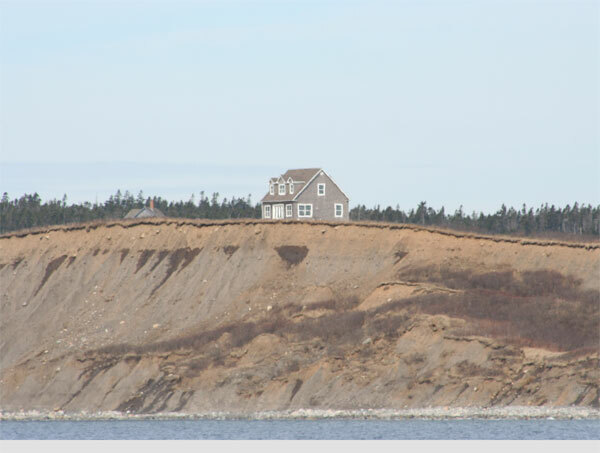 Perhaps the owner plans to move the house, back from the edge before the inevitable happens..
We pass along the top of the cliff in front of the houses on Beach Hill Road, or, if the tide is out walk along the beach. You can see this walk on Google Maps. If it is too short it can be combined with the walk from the car park to Gaff Point and back, making a total of 16 Kms.